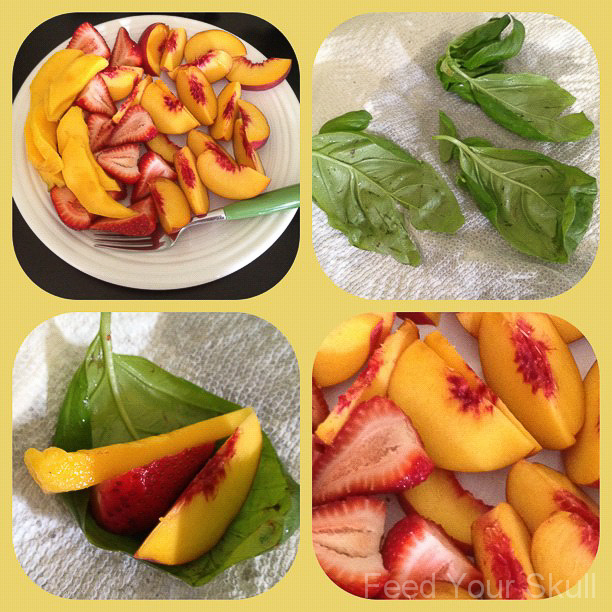 I had just cut up 2 gorgeous peaches from Trader Joe’s, 6 strawberries, and a half a mango and was about to sit down for breakfast when I thought perhaps I should include some of the epic basil leaves from our new plant – also from Trader Joe’s. 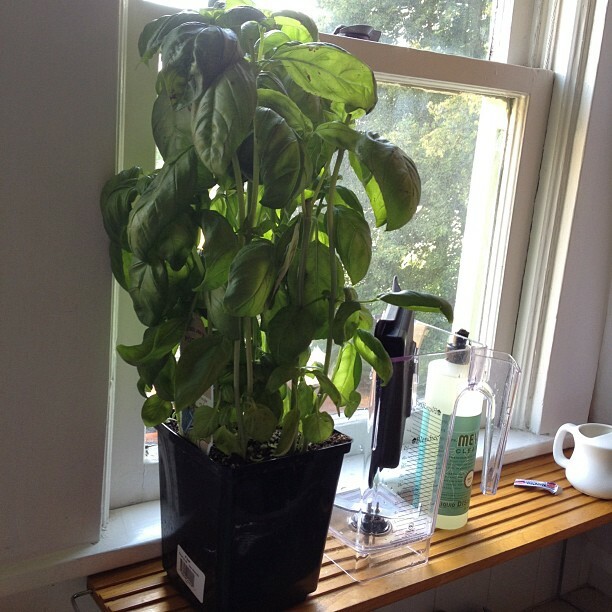 This is the most handsome store bought basil plant I’ve ever purchased. It’s been a week and it is still doing great. Wahoo! Guess how much it was? Only $2.99! So after I pinched off a few of the larger leaves, washed them and set them next to my fruit, I realized exactly how large some of the leaves were. Large enough to make some fruit filled basil wraps. Although I have added basil to smoothies before it wasn’t until this simple pairing that I discovered how well fruit compliments basil, especially the peaches. Something magical happens when these two meet in my mouth, like unicorn magical. So try this out! It’s a great way to use up your fresh basil without going to the tasty trouble of making pesto, chiffonading it for a dish, or even worse letting it go bad in the fridge.